Jojo is the nickname of Georges, an unlucky but extremely likeable boy. He has magic powers that he uses without realising it. 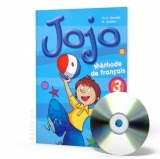 "Jojo" is based on recent educational advances and contains songs, chants, drama and other interactive elements. more..
Jojo is the nickname of Georges, an unlucky but extremely likeable boy. He has magic powers that he uses without realising it. "Jojo" is based on recent educational advances and contains songs, chants, drama and other interactive elements. The teacher's guide offers step-by-step support, and the CD contains recordings of the stories and songs, and class listening activities....more..
Jojo is the nickname of Georges, an unlucky but extremely likeable boy. He has magic powers that he uses without realising it. "Jojo" is based on recent educational advances and contains songs, chants, drama and other interactive elements. Flashcards present vocabulary in a fun and efficient way. M.A.Apicella, H.Challier more..
Jojo 1 Livre actif - CD-ROM est la reproduction du livre papier en version numérique et permet l'utilisation sur le Tableau Blanc Interactif ou sur l'ordinateur. Il se feuillette comme un livre normal et offre l'accès en un clic à toutes les pistes audio. Il présente différentes typologies d'exercices: compréhension orale, écriture, exercices visant à...more..
Jojo is the nickname of Georges, an unlucky but extremely likeable boy. He has magic powers that he uses without realising it. "Jojo" is based on recent educational advances and contains songs, chants, drama and other interactive elements. M.A.Apicella, H.Challier 21,5x28,5cm, 80 full-colour pages ISBN 9788853611413 more..
Jojo is the nickname of Georges, an unlucky but extremely likeable boy. He has magic powers that he uses without realising it. "Jojo" is based on recent educational advances and contains songs, chants, drama and other interactive elements. M.A.Apicella, H.Challier 21,5x28,5cm, 64 pages ISBN 9788853611437 more..
Jojo is the nickname of Georges, an unlucky but extremely likeable boy. He has magic powers that he uses without realising it. "Jojo" is based on recent educational advances and contains songs, chants, drama and other interactive elements. 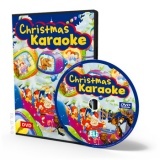 The teacher's guide offers step-by-step support, and the CD contains recordings of the stories and songs, and...more..
Jojo 2 Livre actif - CD-ROM est la reproduction du livre papier en version numérique et permet l'utilisation sur le Tableau Blanc Interactif ou sur l'ordinateur. Il se feuillette comme un livre normal et offre l'accès en un clic à toutes les pistes audio. Il présente différentes typologies d'exercices: compréhension orale, écriture, exercices...more..
Jojo is the nickname of Georges, an unlucky but extremely likeable boy. He has magic powers that he uses without realising it. "Jojo" is based on recent educational advances and contains songs, chants, drama and other interactive elements. M.A.Apicella, H.Challier 21,5x28,5cm, 80 full-colour pages ISBN 9788853613820more..
Jojo is the nickname of Georges, an unlucky but extremely likeable boy. He has magic powers that he uses without realising it. 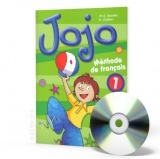 "Jojo" is based on recent educational advances and contains songs, chants, drama and other interactive elements. M.A.Apicella, H.Challier 21,5x28,5cm, 48 pages ISBN 9788853613837 more..
Jojo 3 Livre actif - CD-ROM est la reproduction du livre papier en version numérique et permet l'utilisation sur le Tableau Blanc Interactif ou sur l'ordinateur. Il se feuillette comme un livre normal et offre l'accès en un clic à toutes les pistes audio. Il présente différentes typologies d'exercices: compréhension orale, écriture, exercices visant à...more..